SOLYMONE BLOG: Duterte To US: Why Didn't You Send Armada vs China Islands? Duterte To US: Why Didn't You Send Armada vs China Islands? MANILA, Philippines — Philippine President Rodrigo Duterte said Wednesday he has asked the U.S. ambassador why America did not deploy an armada of warships to pressure China to stop constructing man-made islands that are now at the heart of regional concerns in the disputed South China Sea. Duterte said in a speech that U.S. Ambassador Sung Kim was unable to reply to the question when they met Monday in southern Davao city, where the president had a separate meeting with the Chinese ambassador. While criticizing the U.S., Duterte did not berate China's behavior in his speech. Duterte said he told Kim that he was surprised by what he described as U.S. inaction when newspapers were publishing pictures of China's construction of runways and other structures on the newly built islands in the disputed waters. "Had America really wanted to avoid trouble, early on ... why did you not send the armada of the 7th Fleet which is stationed there in the Pacific, you just make a U-turn and go there and tell them right on their face, stop it?" Duterte said he asked Kim, referring to the U.S. naval fleet based in Japan. Kim, who arrived in Manila last year as American ambassador, replied that he was assigned elsewhere at the time and could not give an answer, Duterte said. 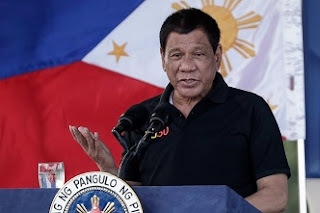 Duterte spoke in a visit to Oriental Mindoro province a day after concerns were raised over a report by a U.S. think tank that China has nearly completed construction work on three man-made islands that will allow it to deploy combat aircraft and surface-to-air missiles. The Washington-based Center for Strategic and International Studies analyzed recent satellite photos and concluded that runways, aircraft hangers, radar sites and hardened surface-to-air missile shelters have either been finished or are nearing completion. One of the islands mentioned in the report, Philippine-claimed Mischief Reef, was seized by China in 1995, drawing protests from Manila then. 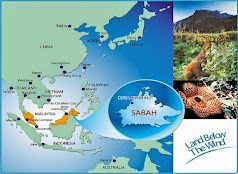 Another island, Subi, is very close to a Philippine-occupied island in the Spratly chain, which is claimed in whole or in part by China, the Philippines, Vietnam, Malaysia, Taiwan and Brunei. Duterte repeated that he would not go to war with militarily superior China over the territorial conflict. "The first thing that will be blasted away from this planet Earth will be Palawan," Duterte said, referring to the western Philippine island province facing the disputed waters. "All of the deposits of armaments of the Americans, including ours, are there." When Duterte took office in June, he reached out to China to mend relations strained under his predecessor, Benigno Aquino III, over the territorial dispute. While taking a friendly stance toward Beijing, he lashed out at the United States for criticizing his brutal campaign against illegal drugs. Duterte thanked President Xi Jinping over the renewed friendship and return of normal trade relations, praising the Chinese leader as "very kind." Duterte, however, said he will invoke an international arbitration ruling that declared China has no historic title to the disputed waters if Beijing drills for oil or gas in a shoal contested by China and the Philippines. Department of Foreign Affairs spokesman Charles Jose said in Manila that China and the Philippines have agreed to hold a bilateral consultation on the South China Sea disputes and Beijing has offered to host an initial meeting in May. 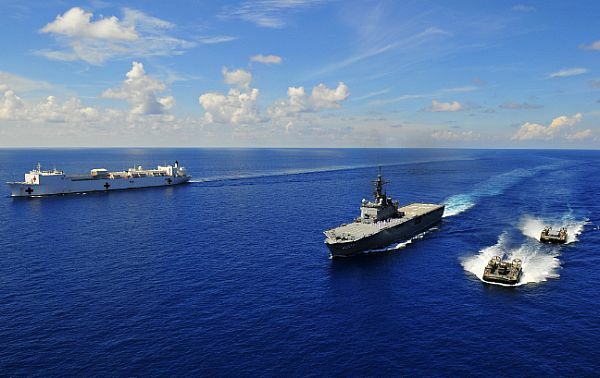 "The purpose of this bilateral consultation mechanism is to have a platform where issues about the South China Sea can be discussed," Jose told reporters.